See details in our blog post here. 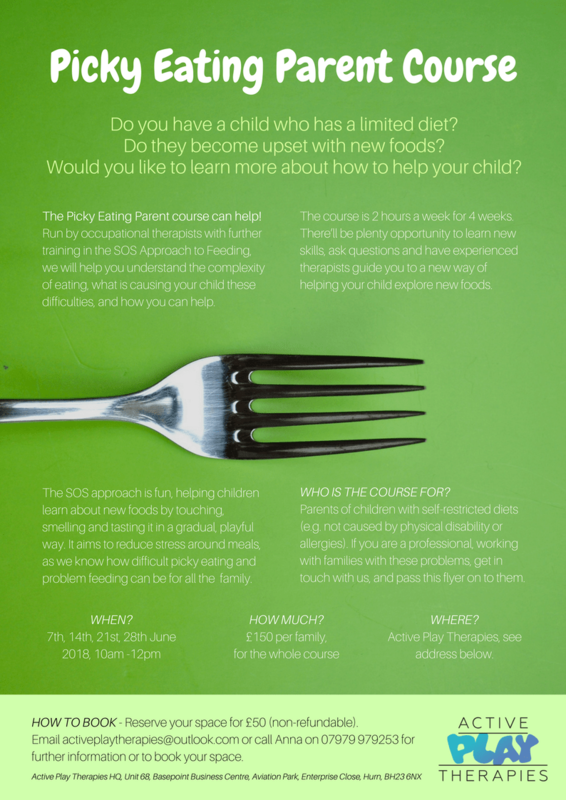 A course for parents with picky eaters run by Anna Willis and Sonia Cox, both experienced and specialist OTs trained in the SOS Approach to Feeding. Contact us to reserve your place now! Click on the poster above to open and zoom, print or save it.